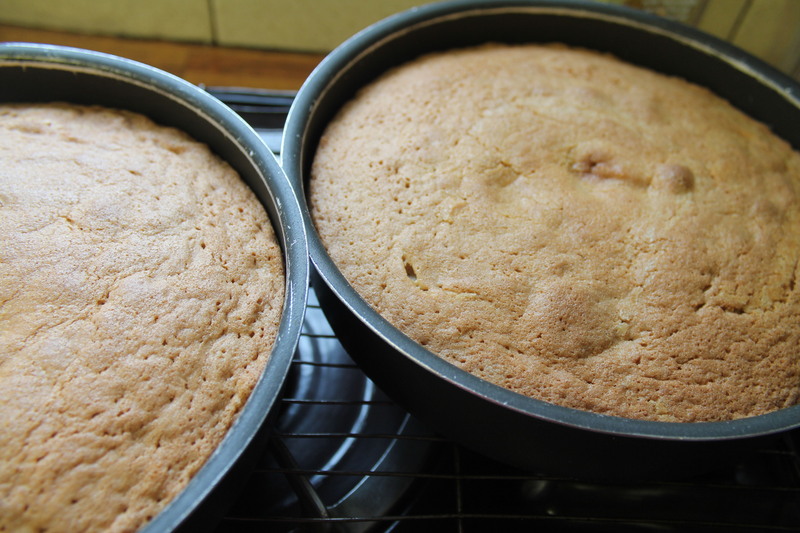 Grease and line two 8″ cake tins. one teaspoon of coffee dissolved in a tablespoon of hot water. Cream the butter and sugar together until light and fluffy. Add the eggs separately with a little flour to stop the mixture curdling. Add the coffee and then stir in the flour in a figure of eight movement. Put into the prepared tins and bake for 30 – 35 mins until firm to the touch and golden brown. one teaspoon coffee dissolved in hot water. Cream the butter and add the icing sugar slowly, then add the coffee. Use this to sandwich your cake together and cover the outside too. If you would rather use normal icing on the top then just use icing sugar and coffee. 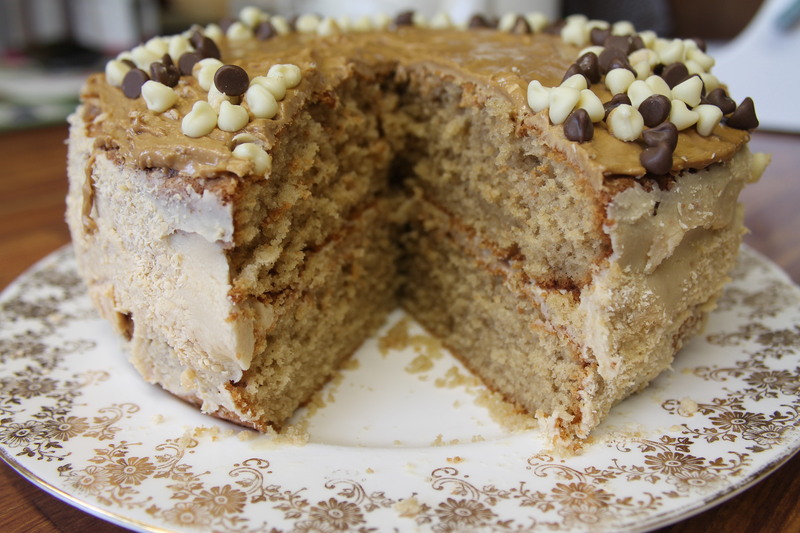 I also added some chocolate chips for decoration on top and pressed grated chocolate round the outside of the cake (I would have used a Cadbury’s Flake round the outside but someone must have eaten it because I could not find it! Editor’s note: Julia, was that “someone” you?). This can be made into a very special celebration cake if required or just for afternoon tea.